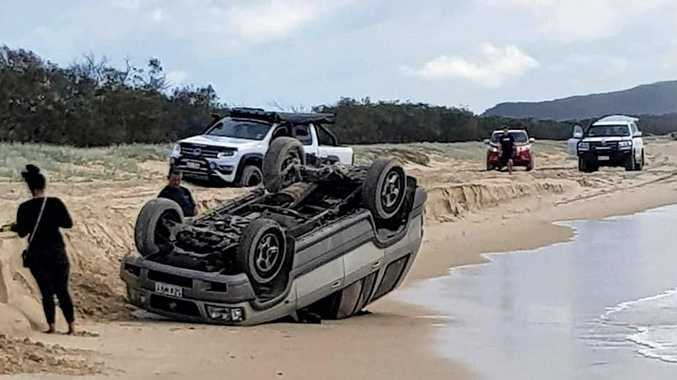 Locations which may be affected include Warwick, Gold Coast, Toowoomba, Brisbane, Dalby, Maroochydore, Gympie, Bundaberg, Kingaroy, Hervey Bay, Rolleston, Taroom, and the Carnarvon Ranges. Skies darken with rain at 3pm: Skies darkened as rain washed into Bundaberg on November 19. The next warning is due to be issued by 5.05pm. Warnings are also available through TV and Radio broadcasts, the Bureau's website at www.bom.gov.au or call 1300 659 219. The Bureau and Queensland Fire and Emergency Services would appreciate warnings being broadcast regularly. 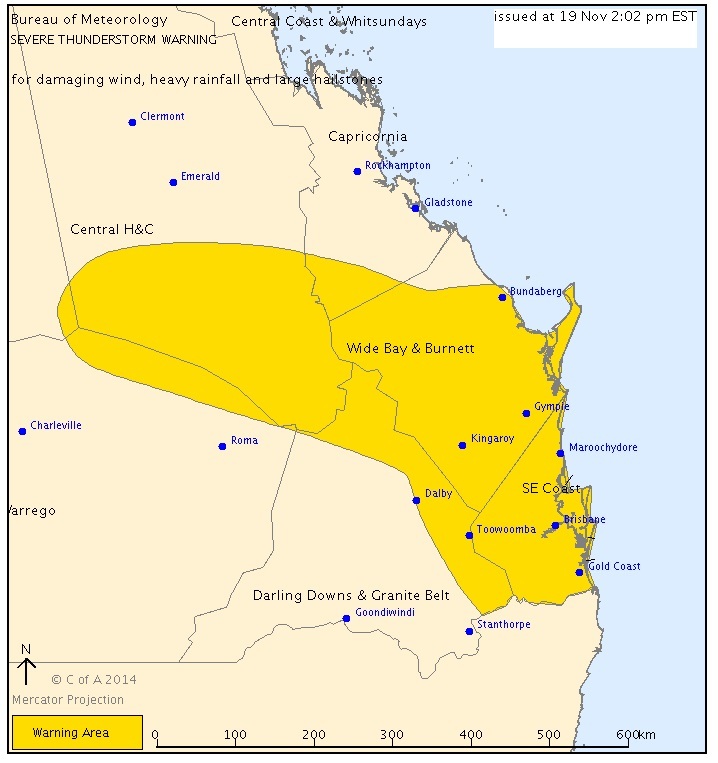 A storm warning has been issued for parts of Queensland.